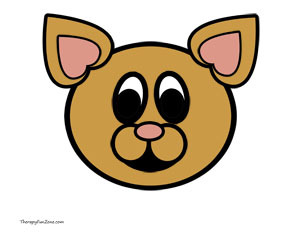 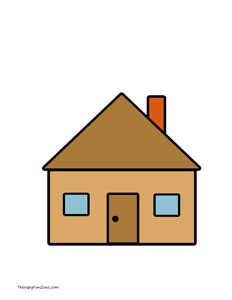 The pictures included to copy are of a dog, cat, bunny, cow, mouse, truck, submarine, house, and ice cream cone. 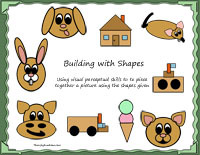 It is great for working on visual perceptual skills to have kids figure out which shapes will be used in the pictures. 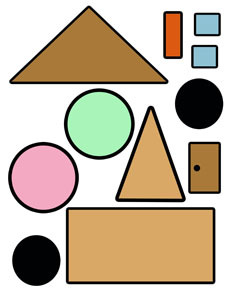 You can cut out and laminate the shapes, or print them on magnet paper to use on the magnetic white board.